Lock in a great price for Wintergreen 10 – rated 8.5 by recent guests! Boasting a sauna, a fireplace and a spa bath, Wintergreen 10 is just 5 minutes’ walk from Friday Flat. It offers self-contained accommodations with lovely mountain views, as well as ski storage and drying facilities. The heated apartment features a fully equipped kitchen with a dishwasher, an oven and a microwave. It also has under-floor heating, laundry facilities and a separate living room with a flat-screen TV and a DVD player. 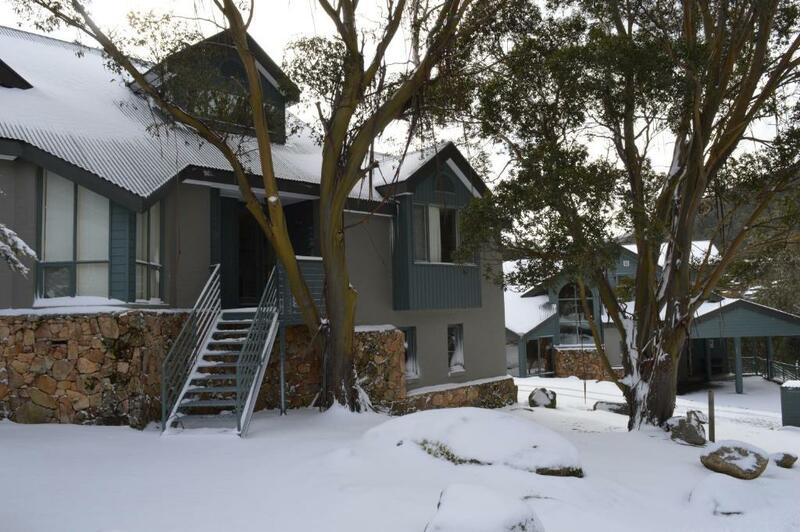 Wintergreen 10 Thredbo is 10 minutes’ drive from Thredbo Village, and 25 minutes’ drive from Kosciuszko National Park. Jindabyne is a 45-minute drive away. This is our guests' favorite part of Thredbo, according to independent reviews. This property is also rated for the best value in Thredbo! Guests are getting more for their money when compared to other properties in this city. 뀐 Located in the top-rated area in Thredbo, this property has an excellent location score of 9.4! When would you like to stay at Wintergreen 10? This heated apartment features a sauna, a fireplace and a spa bath. It also has a fully equipped kitchen, 2 bathrooms, laundry facilities and a separate living room with a flat-screen TV and a DVD player. House Rules Wintergreen 10 takes special requests – add in the next step! A AUD1000 damage deposit is required on arrival (around USD703.65). This deposit will be fully refunded 7 days after check-out, as long as there isn't any damage to the property. Debit card Wintergreen 10 accepts these cards and reserves the right to temporarily hold an amount prior to arrival. Wintergreen 10 accepts these cards and reserves the right to temporarily hold an amount prior to arrival. Please note that this property has no reception desk. For details about check-in and key collection, you will receive a separate email from Australian Alpine Resorts within 24 hours of booking. Please note that there is a 1.5% charge when you pay with EFTPOS or a Visa or Mastercard credit card, and a 3% charge when you pay with an American Express credit card. Please note that Wintergreen 10 requires a $500 credit card pre-authorization or cash deposit upon check in to cover any incidental charges. A damage deposit of AUD 1000 is required on arrival. That's about 703.65USD. This will be collected by credit card. You should be reimbursed within 7 days of check-out. Your deposit will be refunded in full by credit card, subject to an inspection of the property. A lot of the pans and oven trays in the kitchen in bad condition and no decent knives. Door to ensuite shower broken. Downstairs bedroom a bit cold (need to pre-heat for guest arrival) - a door between the bedroom and bathroom might help. The rest of the apartment was very well heated and the bottom room did warm up. Spacious for family of 5 - big bedrooms, kitchen, drying room and modular sofa. Great parking. Great location - short walk with skis to get on to the bottom of the Supertrail and short walk to the fab burger bar on Diggings Terrace and village shops - we did not need to catch the bus at all during our stay. Loved the sauna at the end of a day's skiing. kitchen and bathroom was nice but can do with little update and appliances as well as new tiles. the fireplace was lovely. convenient location, near the bus direct to the friday flats. great facility too and spacious. The balcony door is broken, the roofers need replacing and was very difficult to open. Sauna was broken but property manager handled it well despite it needing a new switch. The beds were old extremely worn out and uncomfortable. Some quilts had blood stains as we had to lay on our quilts for padding. no cooling for hot days, dated fixtures. The extra cost for cleaning and that the vacuum cleaners provided were full.